This classic MAKEnight is back for another year of snark! Follow your heart and join us for an evening of food, drink and amore. And sass. We provide the making, you decide if your valentine will be snarky or scandalous. 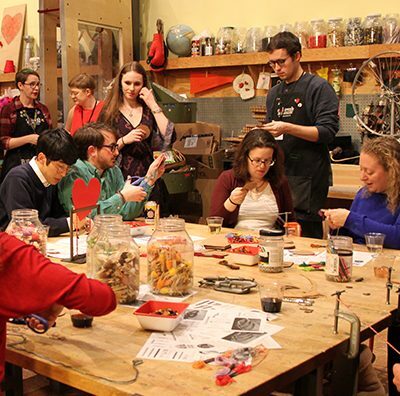 Make some slime in the studio, create your own valentine, screen print a love note for someone special, and snuggle up to some furry friends brought by the Humane Animal Society! Sip on a glass of red, white, or bubbly wine while dipping treats in a chocolate fountain.Fret not, more details to come! You won’t walk away from this event brokenhearted. Previous PostPost-Gazette owners say publisher's tirade was just "frustration," union calls it "unhinged"